What happens to my pension or annuity when I die? Andrew Tully of Canada Life talks through the issues of Inheritance Tax, pension wills and who can benefit. One of the big changes following the introduction of the pension freedoms in 2015 has been how pension savings are treated for tax purposes when the plan holder dies. Previously any funds passed on as an inheritance would have been taxed at a rate of 55%. Now pensions are now treated much more favourably by HMRC, and people now have the opportunity to pass on pension wealth through the generations in a tax-efficient way. There are some key differences between how pensions are treated on death depending on the type of pension, whether people are drawing an income using an annuity, and critically age. While the rest of this article deals with death and pensions, we have a comprehensive guide that will help you learn about any other area of retirement that you wish to learn about. Find out more about Canada Life and passing on wealth here. If the member dies before the age of 75, they can pass on their untouched defined contribution or personal pension completely free of tax to a nominated beneficiary. If they decide to pass on some or all of their pension wealth to a trust or charity, this can be done as a lump sum with no tax charge. If the member starts to access the pension using income drawdown, any remaining funds can be passed on to beneficiaries as a lump sum free of tax. The same rules apply if they’ve started drawing an income from a pension using an annuity, if there are any death benefits (see below) attached to the policy. Defined benefit pensions will typically offer a lump sum benefit and an income. The lump sum is usually a multiple of salary and paid tax free. If the member has started taking an income from their defined benefit pension, then typically a scheme will pay a 50% spouse income to a nominated beneficiary, and for tax purposes this is treated as income. If the member dies on or after their 75th birthday, any lump sum or income is subject to tax at the beneficiary’s marginal rate of income tax. However, no income tax is due until any money leaves the pension wrapper, so it is possible to pass on pension wealth through the generations very tax efficiently. If a member has no dependents, and chooses to leave pension wealth to a charity (this is subject to the individual pension scheme rules), then this is tax free. If an income is being paid from a defined benefit pension, then this is treated in the same way for tax purposes whether the member dies before or after their 75th birthday. A death benefit is a payout after the holder of a pension or annuity passes away. You can nominate a wide range of beneficiaries to receive your pension death benefits. These people don’t need to be a dependent of the member or indeed a relation to them. However it is possible scheme rules can restrict this to a narrower range of people. Income drawdown and annuities can be set up for dependents, including a spouse, civil partner and children under the age of 23. It can also include others such as people who are financially dependent or interdependent of the member. Nominees can be appointed by a member, or if there are no dependents and no one has been nominated, the scheme administrator can nominate an individual. Successors can be nominated by a dependent, which can result in very tax efficient cascade of pension wealth through the generations. If you’re buying an annuity, there are two ways to ensure your dependents can benefit if you pass away. A significant change in recent years has been the introduction of much longer annuity guarantees, of up to 30 years (previously the maximum was 10 years). People can also choose to protect up to 100% of their original capital. Choosing either of these options when buying an annuity can ensure the beneficiary receives full value from the purchase of the annuity. These options could, however, mean that you receive a lower rate on your annuity. 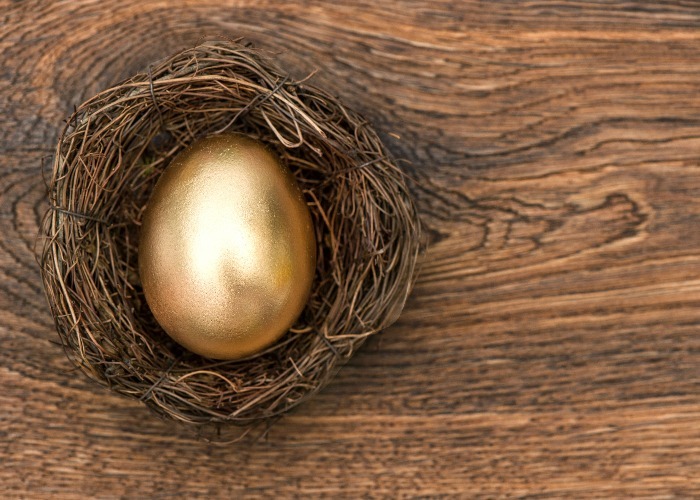 Defined benefit pensions are often referred to as the gold standard of pension provision. These are very valuable, but we have seen many people transfer out of these schemes, often because of the offer of high transfer values, but also because members want to restructure inflexible death benefits. Although most people are better off keeping the defined benefit pension, for some it may be beneficial to consider moving, but it is vital people seek financial advice from a pension transfer specialist. Generally pension death benefits are not subject to Inheritance Tax (IHT). There are however a few unusual situations where a potential IHT liability can arise. Firstly, where there has been a transfer of benefits in the two years before the members’ death, and the member knew at the time of transfer they were in serious ill-health and increasing death benefits was a key reason for the transfer, IHT may apply. Secondly, scheme administrators can normally exercise discretionary powers to choose a recipient but if this doesn’t apply, then IHT may apply. Pension schemes will normally allow members to complete an Expression of Wish form (sometimes referred to as a Nomination of Beneficiary form). This allows members to suggest who they would like benefits to be paid to in the event of their death. Keeping this ‘pension will’ current as personal circumstances change is vital to ensure any money is paid as quickly as possible to the correct beneficiary. Structuring pension benefits and ensuring people choose the right product and death benefits can seem daunting. If you are over 50, Pension Wise is a good starting point to explore your options. The Pension Advisory Service (TPAS) can also help with guidance. A regulated financial adviser is best placed to provide advice for your particular circumstances. No matter where you are in your retirement planning, make sure you're informed: this comprehensive guide to pensions​​​ is a good place to start. Andrew Tully is pensions technical director at retirement and investment specialists Canada Life. The views expressed in this article do not necessarily represent those of loveMONEY.